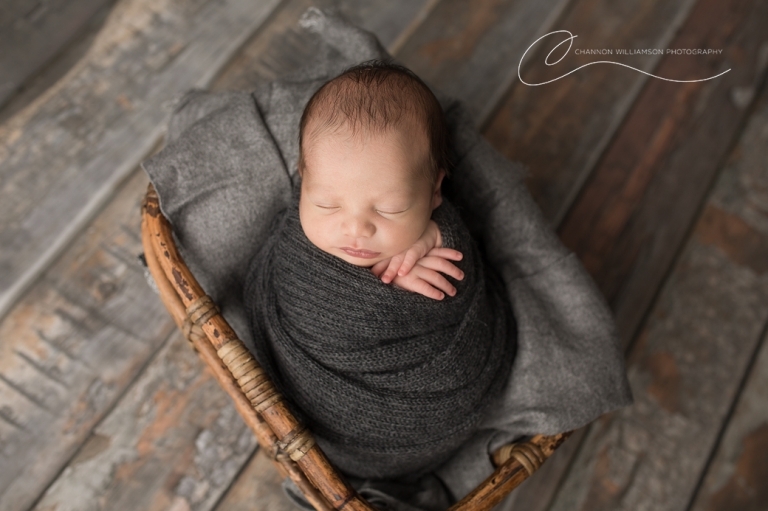 Channon Williamson is one of Perth’s most sought after newborn photographers in the area! 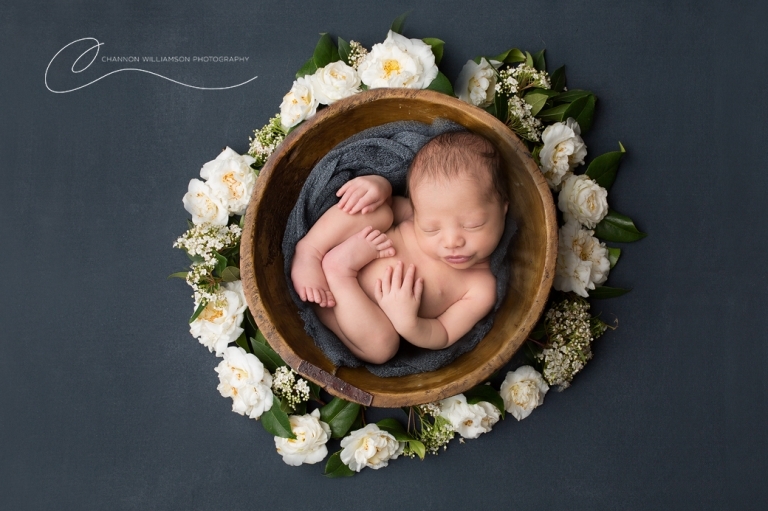 Booking months in advance, she captures each tiny baby in their own very special way. Clients travel from as far as Pinjarra and Yanchep to have their babies photographed in her cozy home studio. I am based in Lesmurdie in the Perth Hills, I am an easy 30 – 40 minutes drive from most locations around Perth and I have clients coming from South of the river as well as North of the river. I get inquiries all the time from clients wanting a session “this weekend” or “next week” and I feel horrible saying no but I just can’t squeeze everyone in. I only take 3 newborn bookings a week so I can devote all the time needed to each client. So if you want to know just when to book your newborn photo session with me, about 4 months in advance is ideal, and then you don’t need to worry about last minute planning. 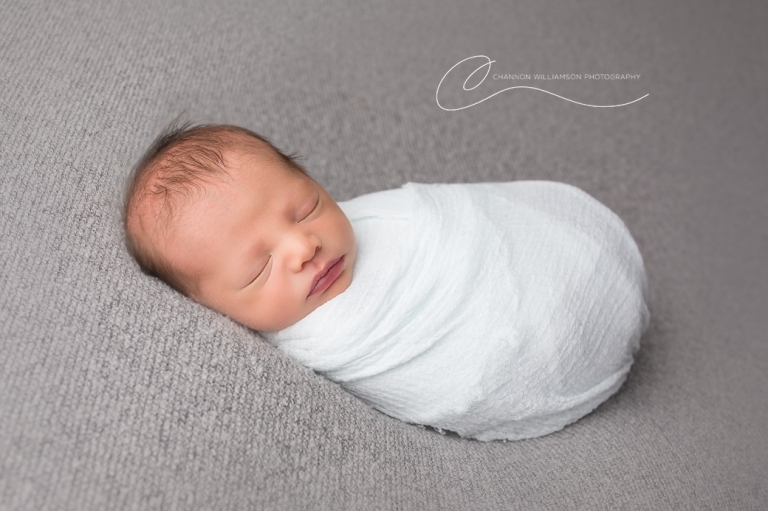 Newborn photography sessions are ideally held before your baby is three weeks old, so there is only a very small window of time that you have to capture those gorgeous sleeping baby pictures. If you don’t book until nearer the time of your baby arriving, or even until after your baby is born, there is less likelihood that I will have sessions available in those crucial first few weeks. That said, please do still get in touch if you are further along in your pregnancy or have already had your baby, as I do keep one last-minute appointment slot available each month. If your baby has been born earlier OR later than expected we will arrange your appointment to suit. It’s another reason I only take 3 bookings a week, so I have juggle room for those unpredictable arrivals. So, if this is the case, please do contact me at the studio to let me know as soon as your baby has been born. This also applies if you or your baby needs to have a prolonged stay in hospital for any reason. If you can keep me updated after the birth I will do everything I can to arrange an alternative appointment for you. Then, I’ll look forward to seeing you in the studio as soon as you and the baby are ready. I find premmie babies are easy to settle and pose so there is no need to worry about missing out. Your photos will be available for you around 7 -10 working days after your photoshoot. At that viewing session, you can choose the images you love (although many clients buy all of them because they can’t choose between them!). I also focus on quality over quantity. In the very unlikely event that you are unhappy with the images I’ve created for you, then please chat to me immediately about your concerns at that time so that we can aim to come to a quick resolution. The skin of newborn babies can sometimes be blotchy, dry, pimply and flaky. Please DO NOT worry about this! I can use my digital editing skills to remove any blemishes from the images, so that your finished images and photo products are nothing short of perfect! Please note that throughout your photoshoot you will have an opportunity to request alternative styling if you don’t like what we are doing. Please feel comfortable to speak up if this is the case. These are your images and I want you to treasure them, so please do let us know if you would prefer different colours or props to be used, for example. Re-shoots are not available for bad hair days, grumpy partners or wardrobe regrets. However, I do offer a Money Back Guarantee. If we cannot come to a mutually acceptable resolution, your session fee will be returned without quibble and your images destroyed. Once an order has been placed you are deemed to have accepted your images. 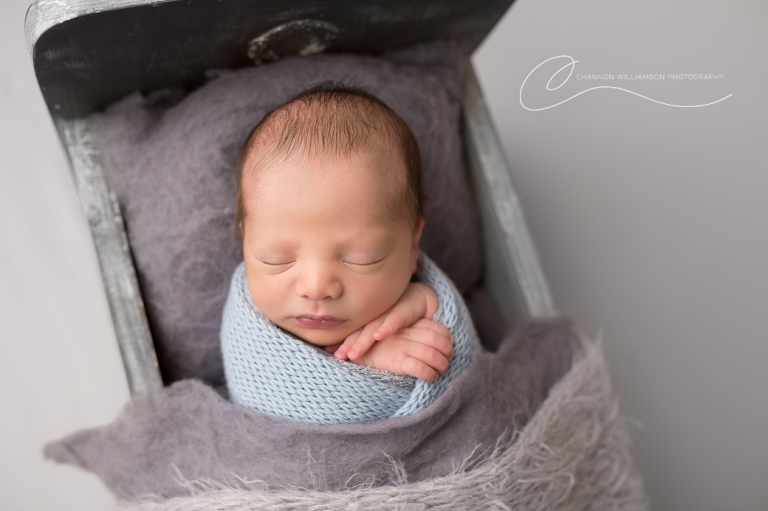 Why does a Newborn Session take so long? Some babies sleep the whole way through. Others take a while to settle, some need more feeds and some become unsettled between each prop change. Some poses can also take quite some time to perfect. Ideally, you’ll arrive at the studio with baby due to feed & drift off to sleep, some babies need plenty of milk and cuddles before they are happy to settle down to sleep, which is fine! There is absolutely no rush! There is no need to arrive early to feed, its all factored in for you. We go at your baby’s own pace. That’s why I allow for around two to three hours per newborn session, although sometimes it can take less or more time than that. Can I bring Friends or Grandparents to the Session? Yes, absolutely. We can comfortably accommodate a maximum of four adults and the baby’s siblings in the photography studio, so you are welcome to bring others with you if you wish. Too many well-meaning voices calling instructions can lead to distractions and overwhelm an already overwhelmed sibling, so it’s preferable to keep the number of visitors to a minimum and ask them to please not instruct them in any way. Ideally, choose to bring with you that one person who makes the sibling light up. While grandparents love to attend the viewing sessions, some parents prefer to enjoy the moment by themselves its entirely your call. Choosing your images can prove difficult and too many conflicting opinions can make it even more so! I encourage you to leave toddlers with a friend or sitter as you will find the experience a little more easy and relaxing to choose alone, without them bothering you. If you are being photographed with your baby, or if you’re having a family photoshoot, I recommend that you wear clothes that are in co-ordinating colours but are not matching. I have an information pack to give you further guidance once you have booked in and I have created a PINTEREST BOARD with some great ideas for you. How much should I expect to spend on products/photos? Will my images look like those you have done for my friend? As your chosen photographer, my aim is to create a special experience for you. Your photoshoot will be customised to your specific preferences so that I can create you images that you will love for years to come. Being a professional photographer, with many years of experience, all my images will be created in a way that is true to my unique creative style. So please be sure to view my portfolio of images before you book since these demonstrate the style that your images will be created in. Hopefully, you love my work and want similar images for yourself! That said, you do have an opportunity to influence the images by stating your preferences for colours, props and styling. Your images will incorporate your ideas and personal items (feel free to bring along any props that are important to you and that you want to be included in the photos), as well as the individual personality of your baby or children. So it is unlikely that your images will be exactly the same as those of your friend since there are many things that will make your photoshoot unique. What a great guide for what to expect and best tips for planning! love how you answered all the questions with beautiful imagery too! Love the way you break it all down for your clients! Gorgeous shots! What great advise and beautiful work Channon!